Bill Reed is the hero who is developing the growing Green, using a telegraph and telephone to keep track of train orders and runs. He's managing railroad hands, the trains themselves, managing freight shipments and unfortunately, a gang of operatives who are intent on destroying the growth of the line But his father, Jacob Reed, may be a big business man with a deceitful plan. Seems there's a family quarrel brewing here. 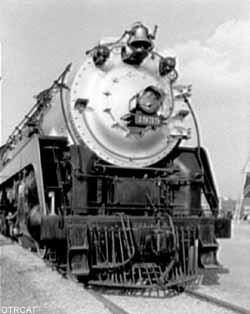 For more railroad themed old time radio shows, see also: Railroad Hour, Railroad Collection, Empire Builders & Grand Central Station,and Mysterious Traveler. Recently, I have been re-listening to \"Green Valley Line.\" I got this series about 16 years ago, and there\'s something about it that really appeals to me. Maybe it\'s the simple construction of the story, and the straightforward dialog which, somehow, works subtly to make the background and settings appear before the listeners\' eyes. But, hey, I guess that is what makes all the great radio programs great! Thanks for keeping up the site!